Experience Emilio Cavallini's 2017-18 line. The way we look at it, any woman can wear it! Elegant, romantic, sensual, passionate or feisty, Emilio's new line caters to everybody. Once again Emilio targets the woman who is not afraid to show off her beauty, with eye catching styles that are at same time easy to wear, on a regular day at work and on special occasion. Floral laces, geometric patterns, openwork, fishnet, argyles and bright luxury tights stand out among all the novelties. 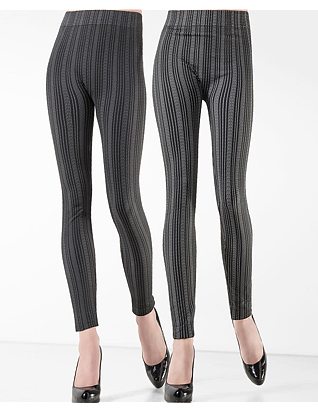 The legging and socks are given more space as they are a must have in every season For those willing to dare, Emilio Cavallini offers the leotards. The colors are dark: eggplant, forest green, petroleum, burnt brown and black.